How Long Does a Power Steering Control Valve Last? Power steering is a wonderful thing – it makes maneuvering your car much simpler than if you were stuck with manual steering. Fluid-based power steering systems are the most common today, although electronic systems are beginning to make headway. In a fluid-based system, high pressure power steering fluid is sent from the pump, through the power steering lines to the rack, where it helps to augment your ability to steer by reducing the effort necessary to turn the wheels. The fluid then returns to the pump to start the process over again. 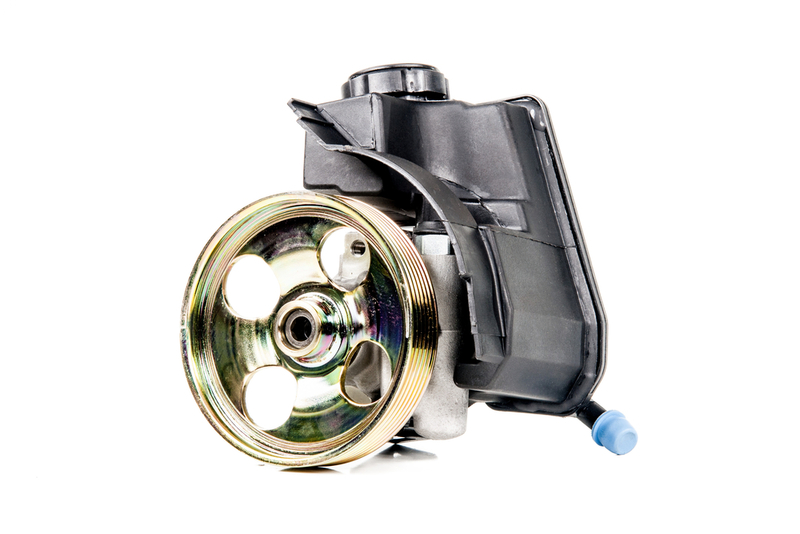 Your car’s power steering pump needs a number of additional components in order to operate the system correctly. One of those is the power steering control valve. This part sits outside the pump and is attached to the high-pressure outlet line. The valve does a number of things, including maintaining the proper amount of pressure in the line (it’s also called the flow control valve for this reason). Your car’s power steering control valve is used every time you turn the steering wheel (whenever the pump is in operation). That means there’s a lot of wear and tear here. It can also be damaged by heat, and the corrosive nature of power steering fluid makes failure inevitable. With that being said, there’s no specific lifespan for the valve. If the power steering control valve fails, you may experience a number of issues. The most common is a reduction in steering capability (the wheel will be harder to turn, which can be very surprising and lead to loss of control over the vehicle). It might also leak power steering fluid, which is flammable. If you suspect a problem with your power steering control valve or another component in your power steering system, a certified mechanic can help to inspect the pump and repair the power steering control valve, and anything else, if necessary.